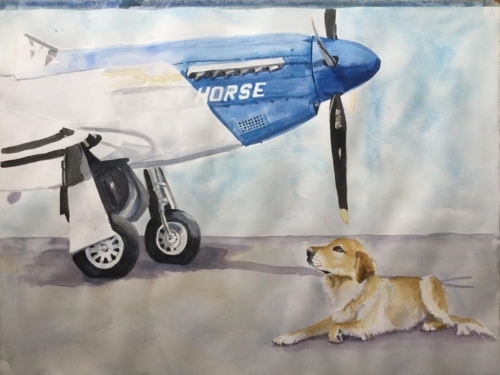 Two of your favorite things in life - Your favorite companion and your favorite plane - put them together in one painting. Janet’s very patient Golden Retriever is one of her favorite models, since he can be depended on to stay in one place for quite awhile...she says that all her painting probably have a bit of fur in them. 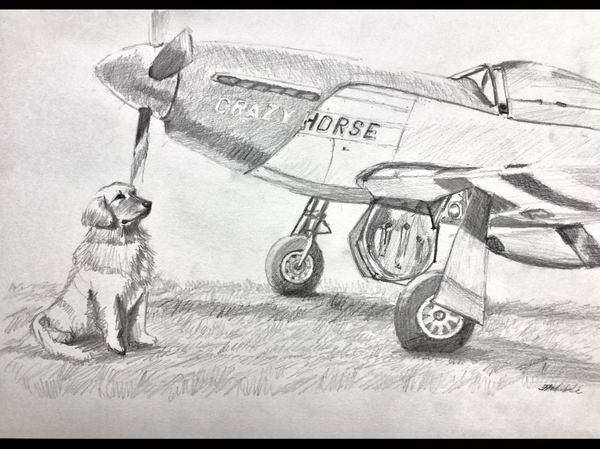 We enjoy her winsome pet/plane paintings so much that we thought you would like one of your own.